Do not fret! The next installment of Short Story Series 4 is coming soon! I stood silently staring in the twilight moments after sunset. An enormous steel structure lay static in counterpoint to a rather pacific ocean. It was several stories in height and at least a city block in length. corroded, eroded, yet structural integrity remained. from the relics of humankind’s industry. to retard corrosion in places for the perfect patina. a vision of cohabitating with this slowly changing seascape. Some people may see an ugly object where I see a beautiful process. Some people may see decay where I see refinement and natural transformation. each seeks harmony with the interconnectedness of all things. The sculpture would then take on new participants in its evolution. I removed my shoes, walked into the water, and began climbing. I possessed no fear, neither for falling nor for puncture wounds in my feet. I felt intuitively safe, like a small child climbing all over his parent. The steel was still warm from an all-day sun bath. It was rather soothing. artfully stacked and stretched throughout. and myself, sitting in a library behind a glass wall. It was a dream, and a lofty one at that. I hadn’t seen a living person in a decade of my wondering this land. I longed for community, even the company of a single man or woman. A woman – oh, to be with a woman again in heart and soul. But, I shall make this my home. I can transform it myself. Sarah is nine when she wants to be. Every morning she tells me about her dreams and it’s clear to me that she must be at least 109. The landscapes she paints, with words few children her age can pronounce, can be horror-filled and paradisiacal, sometimes at once. she drops to her knees. but a mountainous range spewing lava and ash. as prior to being disturbed. so, she touches the water again. does not form into fish. and beholds her ash-covered fingers. and the ash became shiny black crystals. and for that she needed more. and hauled out two handfuls of black pearls. She thought they’d make beautiful jewelry. she could sell some at the market. she ran through the marsh. at grasses as tall as she was. and the skies grew darker. and she had to move them around as she walked. and saw the most amazing pile of leather shoes. when she had an epiphany. if the cobbler was willing to barter. and pulled out some koi. “Well, I have a branding iron to trademark my shoes. so she dropped the koi on the surface. “Perfect! I can use these on my boots,” said the cobbler. Then Sarah awoke and shared with me this “tale of a long protracted journey” – her words – of her soul. Her visions seem wise beyond her years. I’ve been on a writing hiatus since the beginning of August in order to facilitate moving my family into a new home. Only this weekend are we finally moving things from storage to the house. Tomorrow will be the third and final day of loading and unloading a 20-ft truck and not enough room in our small house for all of it to stay. It’s time to simplify and rid ourselves of so much clutter. A yard sale will happen next weekend, and probably the following weekend or two as weather permits. We have way too many things to go through to do it all at once. While I intend to write intensively in October, in the mean time I will publish some poems here over the next few days that were written earlier in the summer. I’m officially back on duty as Secretary on the Board of Directors for the Friends of the Orcas Island Public Library (FOIL). After a leave, I can now attend the monthly board meetings and volunteer again during the week. Next month is our annual meeting for all members and there’s a bit of work to do. Remain resonant for some poems to follow! 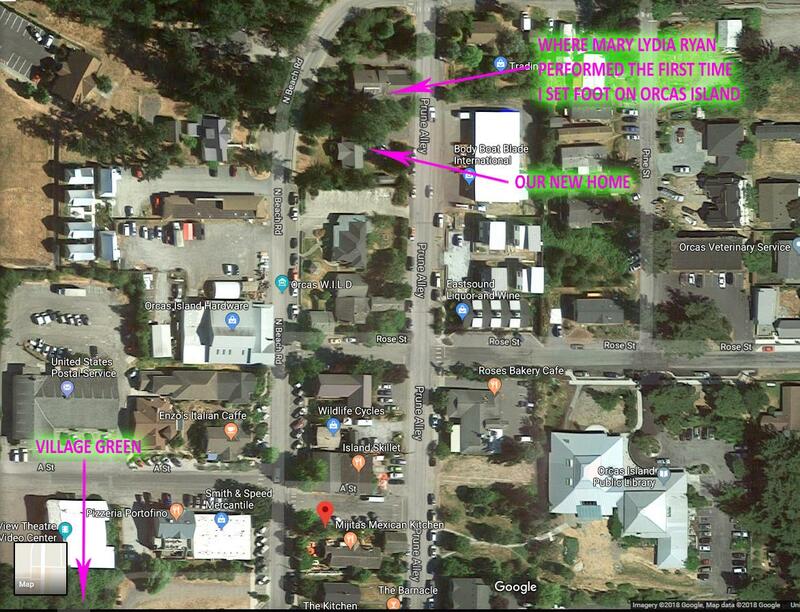 About 18 years ago (September 8, 2000 to be exact) I planted my feet on Orcas Island for the first time with my lovely wife (at that time she was my future wife), Mariah, for the sole purpose of hearing a Seattle musician perform at Susan Osborn’s performance venue then known as the ‘The Living Room’. We were merely groupies at the time, following local performances but not having really known the piano-playing songstress before then. Her name was and is Mary Lydia Ryan and I now consider her one of my dearest friends still on Earth today. [synchronicity alert] As of August 1st, Mariah, Thian and I have just moved into our new home which happens to be the house next door to that former venue, The Living Room, which is now an art gallery for local visual artist and painter, Jacqueline Kempfer. The house next door is a multi-unit construction and is now owned by a nice woman named Robin who I just met a few days ago. That’s easy for me to remember because at the time I was trying to break into the new age/ambient/electronic music radio scene with my CD in 1995, I often came across a woman named Robin Spielberg, who as another solo piano artist seemed to be in the charts a lot in New Age Voice, a publication of radio station playlists. I admit I am not familiar with Robin’s music. [synchronicity alert] Mary Lydia Ryan, however, is familiar with Robin’s music because she has performed with her at the Whisperings Solo Piano Radio All Star Show in California a few years ago and they are now friends on Facebook. Wait, there is more! You can join in the synchronicity. 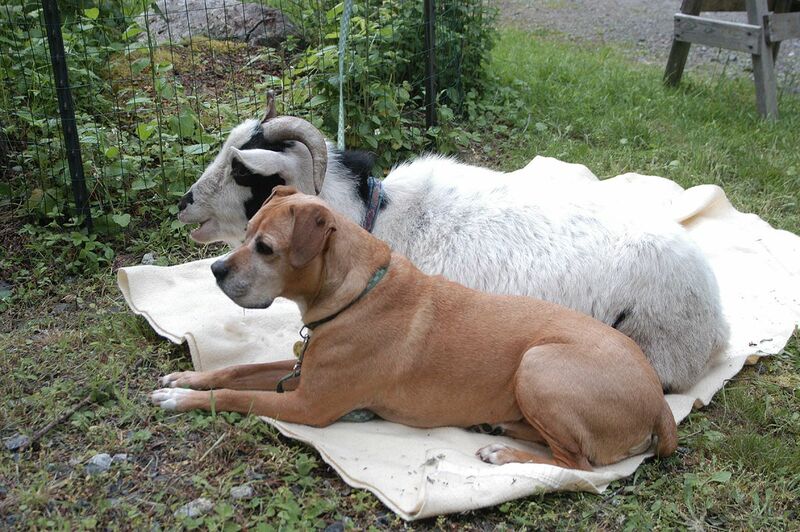 Mary Lydia Ryan often visits Orcas Island, in some years more times than others. She will be playing at the Village Green stage in Eastsound this year on Sunday, September 2, 2018 at 5pm. Share with friends so that we can encourage a long set of music and an encore of sumptuous songs as well as solo piano compositions. It’s Labor Day weekend and a picnic is in order. I’m more than happy it’s only three blocks away. After one personal crisis after another, there is a light at the end of the tunnel. My family finally has a home – albeit much smaller than ideal – on this paradise of an island where we live. So, among other things, we are moving this week. My children’s story book is coming along and hope to publish in November. I have two active short story series I’ve posted which I need to complete. New poetry will be coming in September. And I’m planning an article on imagination and manifesting reality with a book recommendation. PS: Now, if I had written “Remain resonant!” – would you have picked up on that? I like the sound better. Although the imperative use of the verb is naturally demanding. Perhaps I could use the optative perspective in the subjunctive mood: “May you always remain resonant!” That works for now. May you always remain resonant! William would rather be early than late and that’s how he planned everything. He didn’t, however, wish to be too early for his meeting with Dina at her parents’ house. He knew the neighborhood – old estates with nicely manicured lawns. So, he planned just to be early enough to walk around the block once enjoy the various flower gardens he would invariably encounter. And at a minute past 6:30pm, he rang the bell to the Georgian style manor which belonged to the Marcotta family. Dina answered and welcomed William inside. After closing the door, Dina took his arm and led him across the spacious foyer. Just inside the entrance and directly to the left was a sitting room which they walked past only to return there later for tea. The side of the room opposing the entrance was the spot where the tall case clock stood. To its left side was a passage way deeper into the home. Behind the clock and to the right was a stairwell descending to the right in an arc and terminating at floor level with the entrance to a library. “Would you like a black tea or an herbal tea,” Dina asked? Off she went. For the first thirty seconds or so he forgot why he was there. He was close enough to the clock to enjoy its detail, but he had yet to put on his glasses because he was lost in the scent of Dina’s perfume. He couldn’t help wondering if he should have the opportunity to get to know her. Questions flooded his mind. Was she single? What does she do for a living? What is that scent? By the time his spectacles were in place, he could hear her footsteps returning down the hallway. Then focusing on the clock, he looked at the face behind the glass noticing no sign or name of a manufacturer. He thought perhaps there were markings elsewhere in the clock, clues yet to be discovered. “This is intriguing. It’s unusual for the movement to be enclosed like this. It’s encased in a metal box so robustly – perhaps, hermetically,” William noted even more emphatically. Once in the study, sitting down and sipping tea, they were both eager to shed the trappings of business. “How long have you had your shop,” Dina asked? “Really? What do you do,” inquired William? “Then we shall have a picnic sometime,” she suggested. “I shall appreciate whatever you can do. More tea,” Dina asked? William’s walk to his shop was usually casual. While working he was often hyper-focused, so he preferred to remain relaxed and open to discovery along his route, taking in sights as blurred as they were together with sounds and smells, just observing the moment in his outdoor environment. But on this particular day he was focused on the vision before him. His heart rate increased as he started walking again to match the woman’s gait. She was on a mission, not sauntering. He didn’t want to get to close for she might think he was stalking her. And it didn’t help that she left a trail of alluring perfume in the air. “Don’t be sorry. In fact, while I consider every moment of time to be priceless, I am never too rigid with schedules. Many a quality experience would be lost in its strict adherence,” Williams philosophized. “William Blake,” William said astonished! “I’m William Devereaux,” as he extended his hand to her. “Dina Marcotta! A pleasure to meet you,” she countered as she shook his hand and smiled. He unlocked the door, pushed it open and motioned for her to enter. Dina walked into a wall of olfactory bliss; well, at least she thought so. For all the finished clocks in the room, there were an equal number of unfinished works in progress made from a variety of wood: pine, cedar, maple, oak, and many others. In addition, her exceptional sense detected various oils and finishes, as well as metals in the air from the clockworks. Dina was a formally trained as a botanist with a special interest in dendrology, the scientific study of trees. She had a real appreciation for woods, not just in the growth and proliferation of the vegetable kingdom, but in their use as raw materials in art and functional instruments of humanity. She was clearly in a state of amazement. “It is my pride and joy. Are you looking to purchase a clock,” William asked? “Tall case is just a simpler trade term for a grandfather clock,” William answered. Dina took out photos from a folder in her large black messenger bag and handed them to William. Looking at the first picture of the tall case against a stairwell with a wooden banister he commented, “Beautiful piece.” The next picture startled him with mysterious delight. “If you wish, you could look at it tonight at my parent’s house. They are visiting family out of state for the whole month which is why I am eager to have it restored at this time. I’ll give you the address and meet you there at 7pm. I live nearby. Better yet, William, why don’t you come by at 6pm for tea?” She took out a pen and scribbled something on a piece of paper and extended it to him. William Devereux was a piece of work, like the eccentric and rare breed of clocks that he hand-crafted in his small town shop. He also repaired time pieces for the townsfolk. He worked year-round, from dusk to dawn, walking to and from work specifically during the twilight hours which changed throughout year. It was the light during that time which charged him the most emotionally and that was precisely necessary to keep him most passionate about his work. If for any reason he had to travel later in the morning or leave early, his entire day would be a fairly moody one. Behind the counter in William’s shop, was a desk where he most often worked on smaller clocks and watches. And to the left was an old Victrola on which he only played the music of Satie. He loved all kinds of music, of course, but Satie was his only choice when creating or effecting repairs. To those open to complexity in a character, he was charming and charismatic. To others without the empathy to try and understand him, well, he could be an unpleasant piece of work. William had always dreamed of living in an apartment above the shop where he would make a living. But, at a young age he had inherited a beautiful cottage on the river and didn’t want to part with the coziness and the pure sense of home which it provided. At the same time, he needed his shop downtown to take advantage of whatever business the tourist activity would bring. As it was, he didn’t mind the walk when he discovered how vitalizing is was to traverse the cobblestone sidewalk for the half-mile it stretched between his cottage and the park on the edge of town – his ‘quarter hour of bliss‘ he would call it. One fine autumn morning William was walking the river path by the park when he was instantly struck by a vision of beauty about 50 feet away from him. This vision stopped him in his tracks. A woman who had been sitting on a bench arose, brushed off her skirt while turning her face toward William and smiling. But, she was intending to walk the other direction and thus she went, walking at roughly his pace 50 feet ahead. The vision that William had seen however was not the woman’s gorgeous red hair as she flipped it to one side with her arm. Nor was it her attractive figure and legs whose contours were revealed by the Valentino haute couture dress she was wearing. William only saw her silhouette and the aura she exuded, a dazzling radiant light of colorful spectra. You see, William suffered from the most severe myopia and the focus of distant objects could not be corrected by wearing lenses. The glasses he did where when working in the shop were to help him see close objects within a few feet from his eyes. He didn’t require a walking cane, however. And for the most part, he was fine with not seeing details when it came to the subject of people. William wasn’t antisocial. He understood that humans were a social species and he thought it virtuous for the individual to be social. He truly wanted to participate with others – to socialize; however, whenever he did he was sorely disappointed by the shallowness and thoughtless vanity displayed before him. More often than not, such attempts were a waste of time. And time, after all, was not just a matter of business for William; it was a philosophical passion, one he wished so desperately to share. Whether with a conversational friend or a lover, for William a quality relationship would require a harmony of minds and shared respect of time.